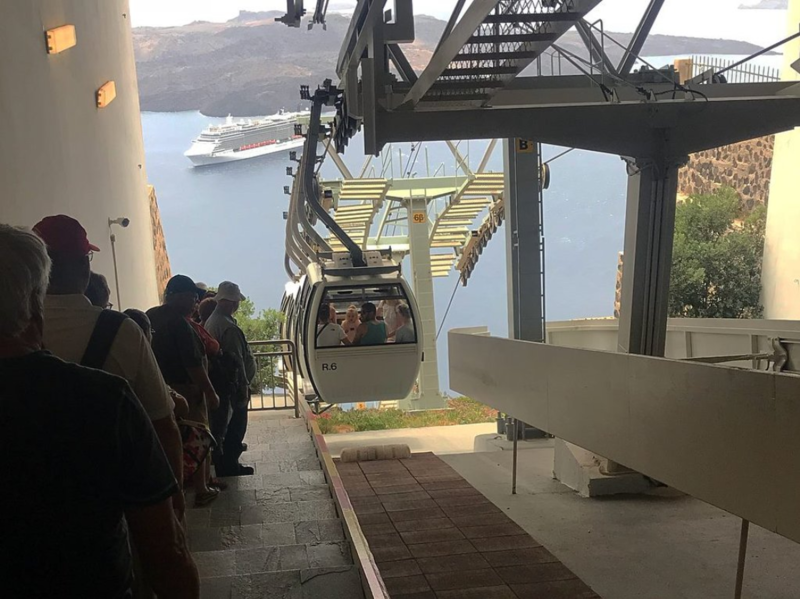 Santorini Cable Car connects the port with the town of Thera in Santorini island and it was established in 1979 by the Loula & Evangelos Nomikos Foundation. 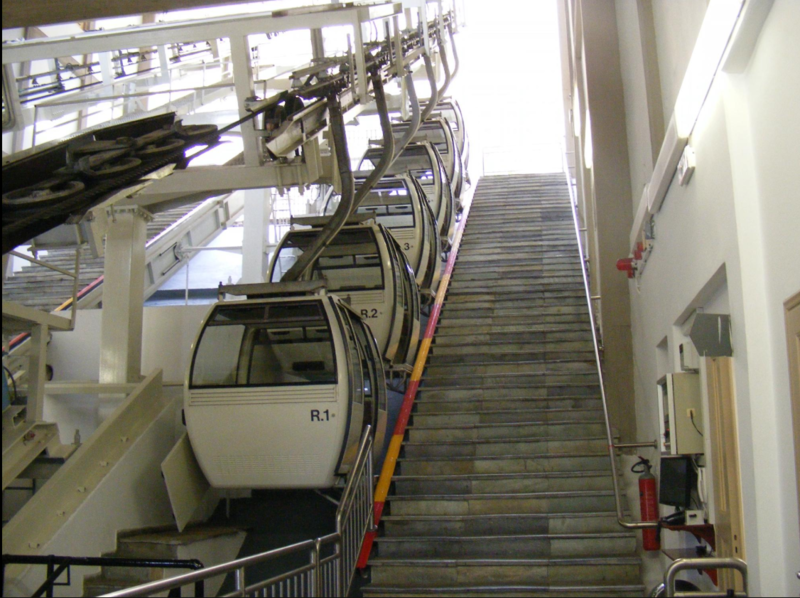 The ship owner Evangelos Nomikos gave all the expenses for the Cable Car purchase and installation. 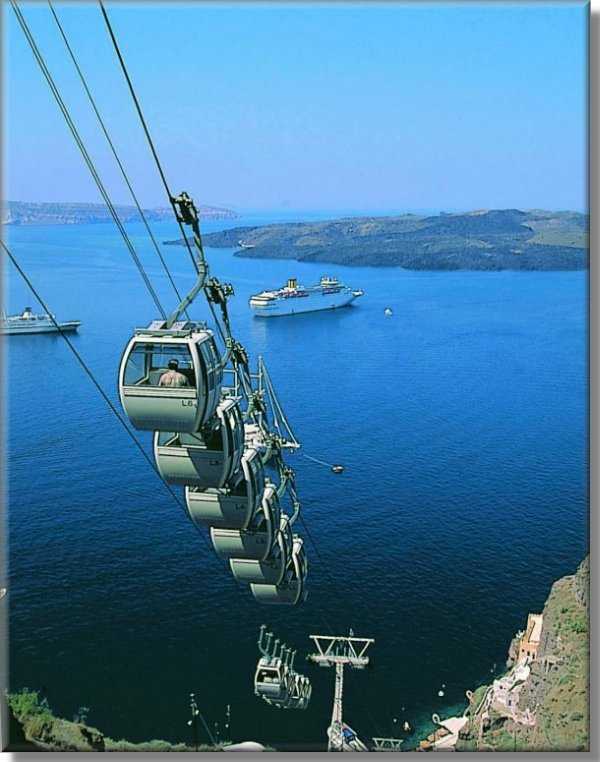 In addition to all the other offers, E. Nomikos has contributed much to the island of Santorini. 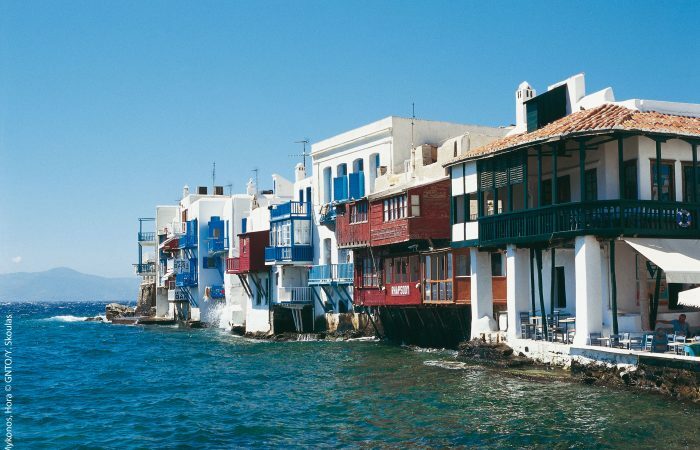 He mediated the transportation problem of the locals and mainly the thousands of tourists who visit Santorini every year and decided to offer one of the most developed works of the Cyclades province. Its purpose is – according to the foundation’s constitution, is to help the communities in developmental works. 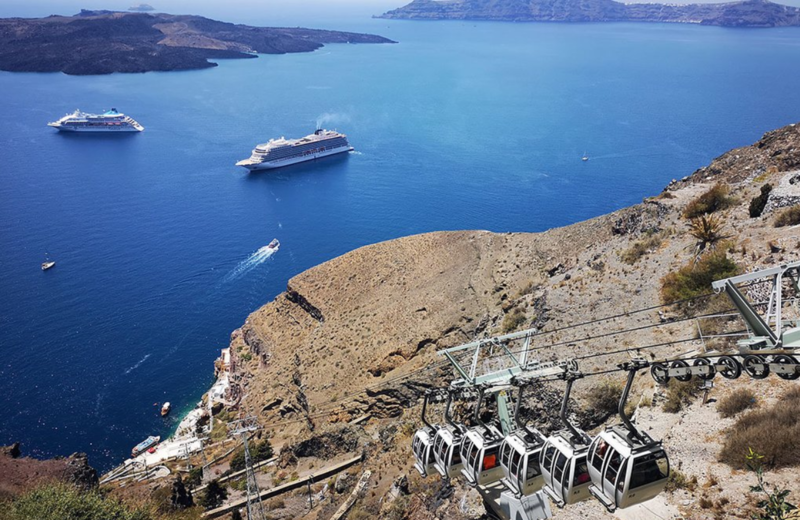 The Cable Car now belongs to the 14 communities of Santorini and this way the Greek regional administration is given a successful example of self management. This is achieved without ignoring the traditional mule drivers who have offered so much, giving a unique beautiful sight to the island. The foundation approaches them with sympathy and compensation, paying them a percentage of the ticket price in order to help this tradition to survive. 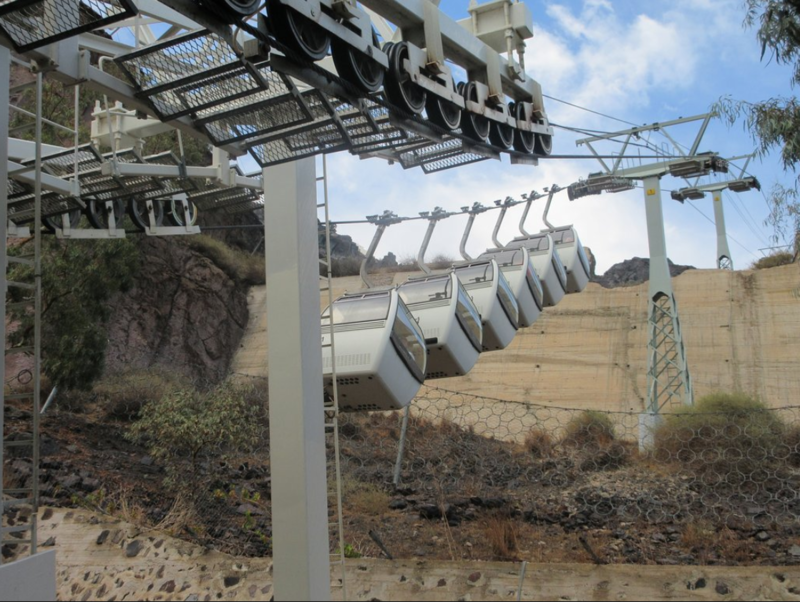 Santorini’s Cable Car serves 1200 persons per hour totaly and is constructed by Doppelmayr® according to the Austrian Regulations. 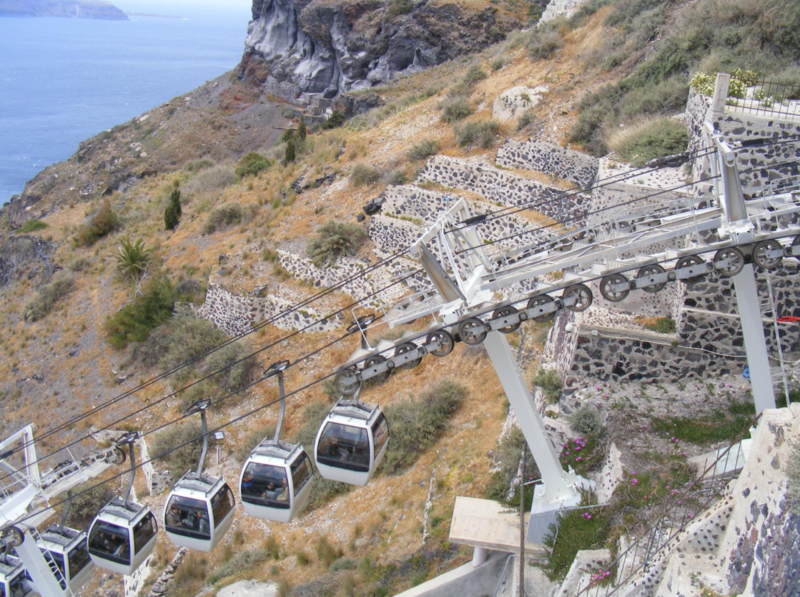 At the same time, it gives value to Fira port, which has been devaluated by the difficulty of the access to Fira. The incoming from the tickets is given to the island’s Communities for the execution of development work. From sea level, let your imagination wonder and go back to the past, through the volcanic scenery. 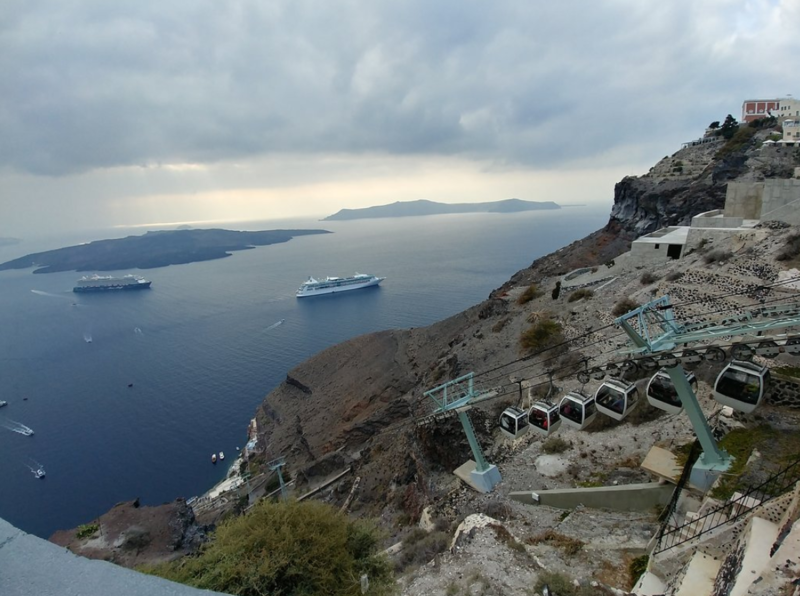 The cable car travels up the path and in three minutes time you’re comfortably in the beautiful town of Fira. 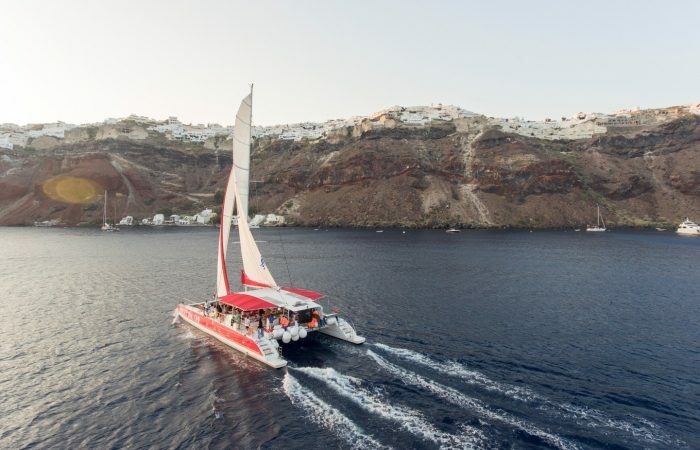 Fira, Santorini’s capital, is at the altitude of 220 meters and from there enjoy whatever beautiful Santorini can offer, and the charming view of the entire island will always remain unforgettable.